In the world of metaphysical crystals the Sapphire resonates on sacred spheres. Nearly every religion in the world speaks of Sapphire with awe and respect, tying it to such qualities as giving hope, wisdom and even bestowing Divine blessings. When reconnecting with or strengthening your relationship with the Monad, this healing gem is a great communicator, vibrating between the earth and other planes of existence. Sapphire’s deep blue hue makes it a stone of faith. Lore tells us that the 10 commandments were carved out of Sapphire, that Delphic oracles wore Sapphire for greater attunement, Buddhists use it as a symbol of enlightenment and Hindus used it in their worship. With such strong ties to religion, Sapphire makes an excellent teacher and guide for Shamans, clerics, High priests and priestesses and anyone bringing God and Universal Truths to seekers. It’s not surprising to find Sapphire used regularly throughout history for all manner of protection. This crystal spirit preserves purity, truth and honor. People have difficulty lying around this gem let alone harboring ill will. It has been called a Wisdom Stone, one that helps us see clearly in both body and spirit. Sapphire’s motto is: The truth will win out. There is no putting on airs or pretending with this mystical stone: it sees through all the facades. When you’re facing legal matters or entering into contracts, carry Sapphire as an amulet for fairness. The blue color of Sapphire naturally attunes it to the Blue Ray and all things “mental”. People suffering with painful memories find it a worthy tonic. This teacher gives you greater self-appreciation and discipline. Sapphire does come in other colors but blue is considered the “true” stone. Each color gives the corresponding stone slightly different energies. Black Sapphire grounds, green Sapphire provides honest and insight, orange Sapphire opens inventiveness, pink ties to emotional regulation, violet facilitates spiritual awakening and white gives us determination and improved connections with the Higher Self. Star Sapphire is also worthy of noting for magic and metaphysical working. The six or twelve rays in this gem create a star pattern. That gives this crystal ties to the celestial spheres, alien intelligence and angelic realms. Light workers credit Star Sapphire as a guardian for travelers including astral travel and walking the dream time. The Star Sapphire spirit walks with you and makes sure you come home safely. Reiki workers use Sapphire to “amp up” their energy sendings. Metaphysical store owners often recommend it as a lover’s stone that inspires fidelity. 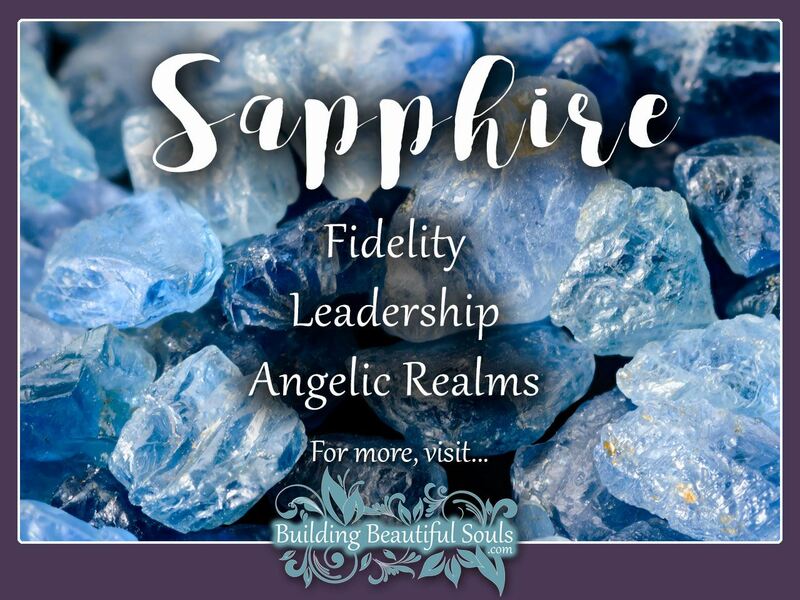 In the professional world Sapphire facilitates strong values and ethical codes. A keynote energy with Sapphire is stalwart integrity. Sapphire’s connection to the throat chakra makes it a potent speaker’s stone. Your words ring clear and true, and the meaning is understood by listeners. This healing stone grants sincerity, patience and respectfulness. It is ideal for people dealing with grief or undeserved guilt because of its simple lesson of humanness. Life is frail, and we have to learn compassion toward our self before we can help anyone else. Release and move forward with Sapphire helping you grow stronger and happier daily. Meditating with Sapphire brings greater inner-connectedness. It works cooperatively with your aura for deeper consciousness and insight. 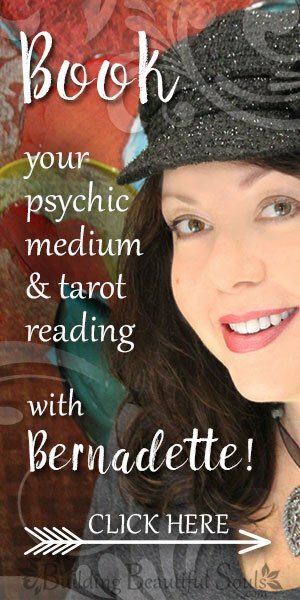 During this time you may meet your Guardian Angel or other Guides. Sapphire reminds us: when you seek with a true heart, you will discover great spiritual treasures that last a lifetime. Historians have several theories of where the Sapphire derived its current name. There are words in French (saphir), Greek (sappherios) and Latin (sapphirs) all of which mean blue stone. However, there’s evidence to suggest those terms applied to Lapis. There is also the possibility that a Sanskrit word sanipriya was the correct gem, this term translating as sacred to Saturn or precious to Saturn. Knowing this gives Sapphire additional symbolism linked to the Roman God Saturn who was humankind’s greatest supporter. Some of his dominions include gardening, vineyards, prosperity and governing good manners. During His festival of Saturnalia it was custom to pardon a wrong-doing and put off any punishment. So wearing Sapphire inspires forgiveness, abundance, and old-fashioned etiquette (so sorely needed in today’s society).